**RAIN OR SHINE** Join us at the beautiful Scarsdale Golf Club in the heart of Westchester County for a wonderful day to support our efforts. 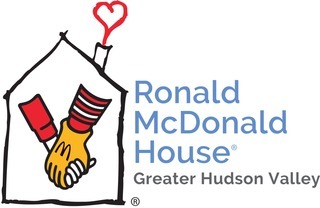 The event will benefit critically ill children and their families in the Hudson Valley and beyond. Individual golfers, foursomes, sponsorship opportunities and lunch-only reservations are available. Foursome of golfers with continental breakfast, cocktail reception, BBQ luncheon and awards ceremony AND signage at luncheon. Foursome of golfers with continental breakfast, cocktail reception, BBQ luncheon and awards ceremony AND signage at tee box. Foursome of golfers with continental breakfast, cocktail reception, BBQ luncheon and awards ceremony AND signage at tee box PLUS two extra luncheon guests. Foursome of golfers with continental breakfast, cocktail reception, BBQ luncheon and awards ceremony AND signage at tee box PLUS four extra luncheon guests.